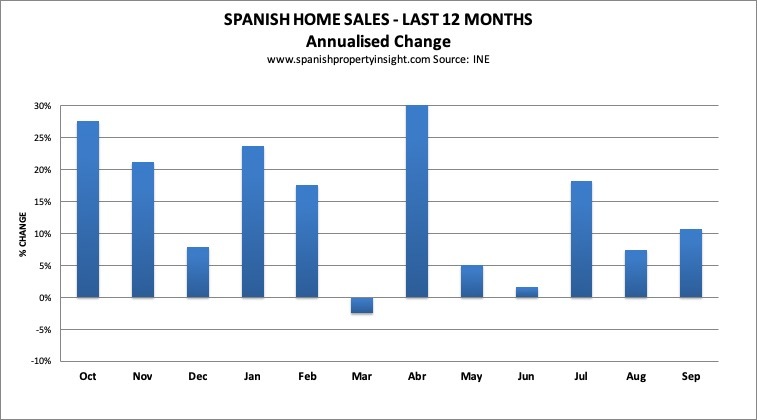 The number of Spanish home sales inscribed in the Land Registry rose by 11% compared to the same month last year, show the latest figures from the National Institute of Statistics (INE). 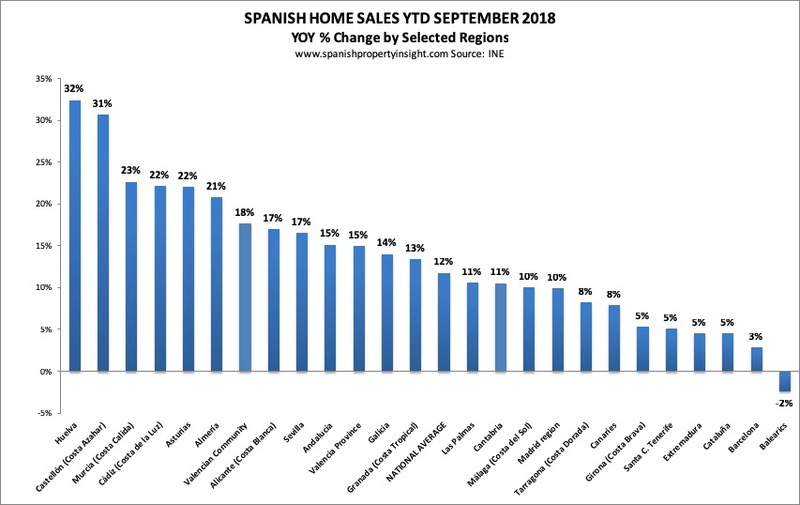 There were 38,621 Spanish home sales inscribed in the Land Register in September, and 42,766 if you include subsidised homes (known as VPO), all according to the latest figures from the INE, based on source data from the Spanish Land Registrars’ Association. 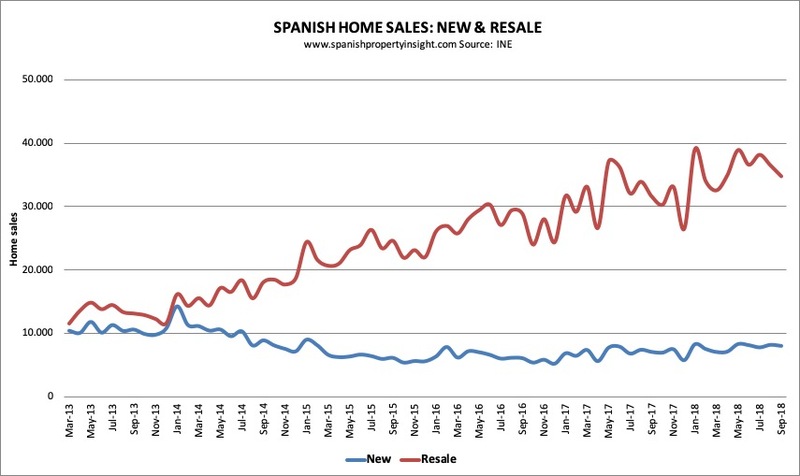 New home sales were up 14% to 8,016 and resales up 10% to 34,750. 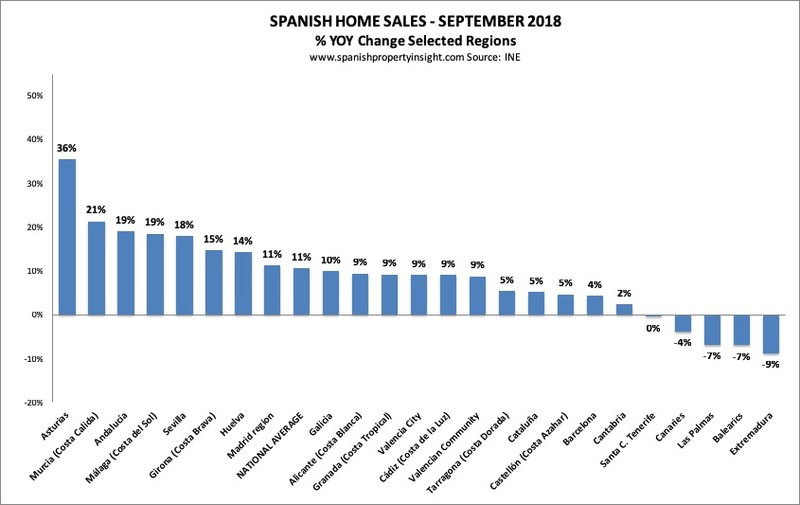 Sales growth was strong in most regions popular with foreign investors with the exception of the Balearic and Canary Islands, where transactions fell compared to September last year. 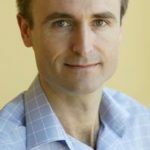 In the case of the Balearics, this could be due to a shortage of homes for sale, or perhaps a shortage of homes for sale at a price that attracts buyers. 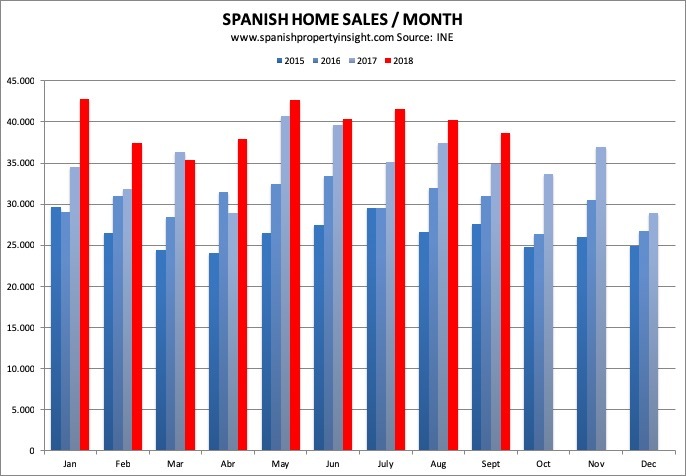 The overall picture is one of continued expansion for the Spanish property market, with some pockets of weakness, as you can see from the following charts.